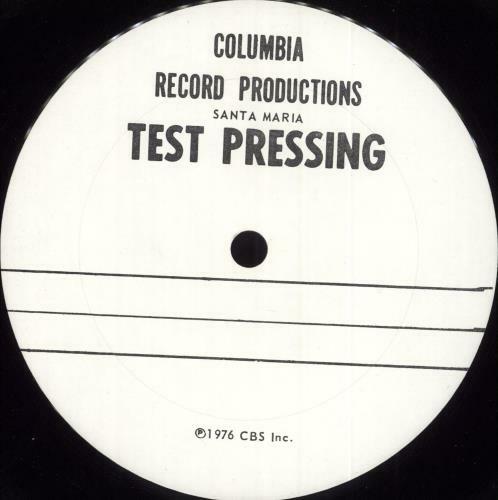 SANTANA Amigos (Super Rare CBS Archive Test Pressing for the 1976 US 7-track SQ Quadraphonic LP, with custom Santa Maria factory labels with no annotations from the engineer & machine stamped matrices in the run-outs. 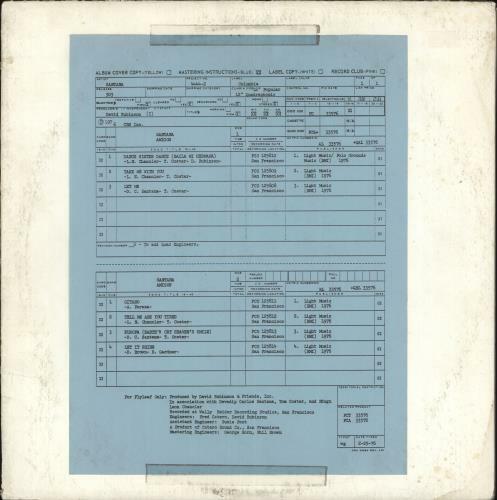 Comes housed in aplain card sleeve with pasted label copy reference sheet highlighting all of the album's publishing details as well as the quad specifications. One of only a small handful made to test the sonics & never intended to escape the pressing plant into the hands of the general public, the vinyl remains in Excellent condition with few signs of play. A superb collector's item PCQ33576). or visit our Santana image gallery.